Gorgeous 3 bedroom villa in Arbor Greene. Enjoy the privacy of this small gated community with amenities such as community pool, park, playground, walking trails, tennis courts & club house! Tiled foyer opens to living room featuring beautiful wood vinyl plank floors. 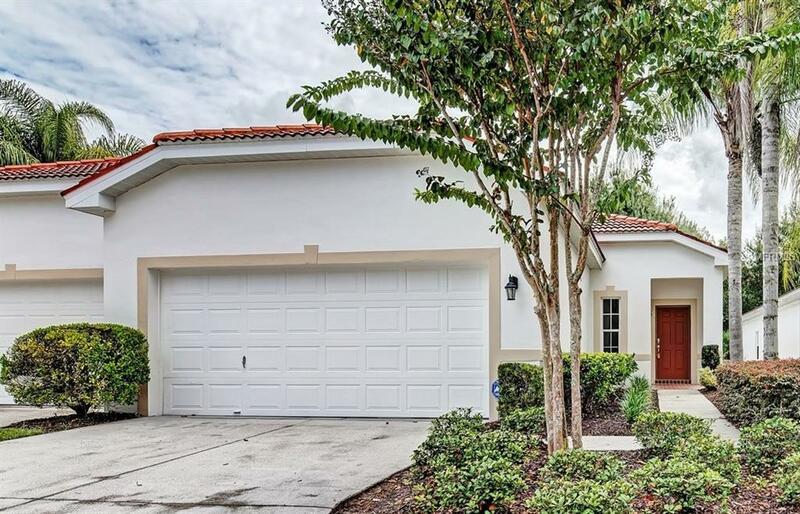 Eat in kitchen has tiled floors, gorgeous 42" espresso cabinets; stainless steel appliances, breakfast bar, and pantry overlooking newly carpeted, spacious family room. Master bedroom features a spacious walk-in closet and preserve views. Relax in the Master bathroom's roman tub or step into the glass enclosure shower; dual sinks vanity with side by side mirror. Covered patio opens to preserve area offering peaceful views; a perfect spot to enjoy your morning coffee and start the day! Take advantage of this unique opportunity, just bring your furniture!